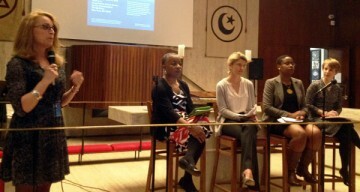 On March 16th, Claire R. Thomas spoke at the 60th United Nations Commission on the Status of Women in New York. Her speech, as part of AAUW’s event entitled “Solving the Gender Equality Equation: Increasing Education and Decreasing Violence,” focused on ensuring access to quality education for immigrant and refugee women and girls and describing challenges that remain within U.S. domestic laws to protect immigrant survivors of violence. For more information regarding what was discussed you can find it here.